With the (no so) surprise release of Apex Legends this week, Respawn Entertainment have finally unveiled what they've been working on since they shipped Titanfall 2 back in 2016. What allegedly started out as a straight sequel transformed into a team-based, hero-oriented battle royale experience only tangentially based in the Titanfall universe, and despite all the warning signs (the free-to-play model, the genre-chasing and the microtransactions), it's actually a damn good time. 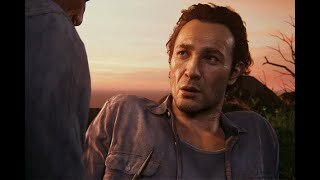 It's one of the first times someone within a current first-party EA studio has acknowledged the publisher's reputation, and been candid about how that public perception actually effects how games are received by fans. It's clear that, to avoid the inevitable negative preconceptions that would follow its announcement (especially if it's true that the game has effectively replaced a potential Titanfall 3), a surprise release that let the title speak for itself was the correct way to go. "But also, we decided to make this game. Not to be throwing EA under the bus, but this wasn’t the game they were expecting. I had to go to executives, show it to them, and explain it and…not convince but more, 'Hey, trust us! This is the thing you want out of us. 'As a corporation, they can only quantify based on past data and they’ve never done anything like this before. There’s a giant rainbow question mark over revenue projections for this game. They’re like, 'We don’t know! We can’t predict.' This is a game where we had to say, 'This is what we want to do. Help us get there. 'They had no hand in development or anything about this game." That freedom comes across in the game itself. Apex Legends certainly fits into the battle royale genre in the way you're jumping into a map from the sky, trying to survive on one life and scrounging resources as you go, but it also makes some pretty major changes compared to the dominating names like Blackout, PUBG and Fornite. For one, teams are mandatory, while being killed doesn't necessary mean you have to jump back to the menu, but can actually be revived and brought back into the fray by one of your partners. They're subtle changes to the formula, but it should allow the game to stand out from the competition, and it's clear why the team would have to convince EA that the alterations were necessary. 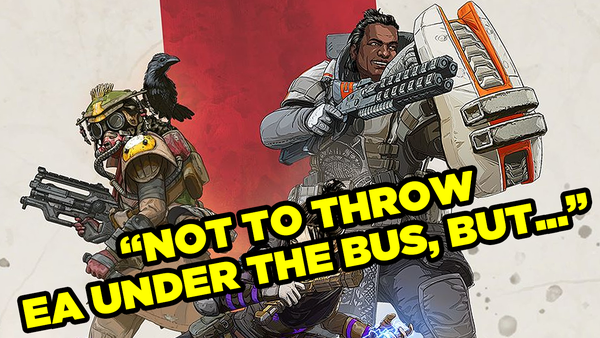 It's fascinating to see the developers recognise and discuss the publisher's history so openly, and it should hopefully allow Apex Legends to be viewed as the quality game it is, rather than a simple cash-grab by EA.